National distribution at a Vice County (VC) level for each species can be found on the Moths Count website - see http://www.mothscount.org/text/108/micro_moth_distribution_maps.html. This is not being updated at present so if more detailed and up to date information on the VC status of any Gelechiid species is required please contact the Gelechiid Recording Scheme organiser (details in Contacts above). 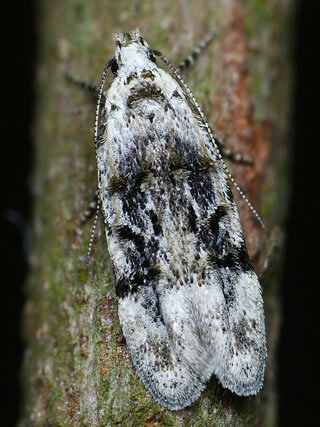 Information relating to new Vice County records and significant updates of historical records are published annually in the Entomologist’s Record and Journal of Variation, Microlepidoptera Review, by Tony Davis and George Tordoff. The references for more recently published Reviews (post MBGBI Vol 4 (2)) are shown below.